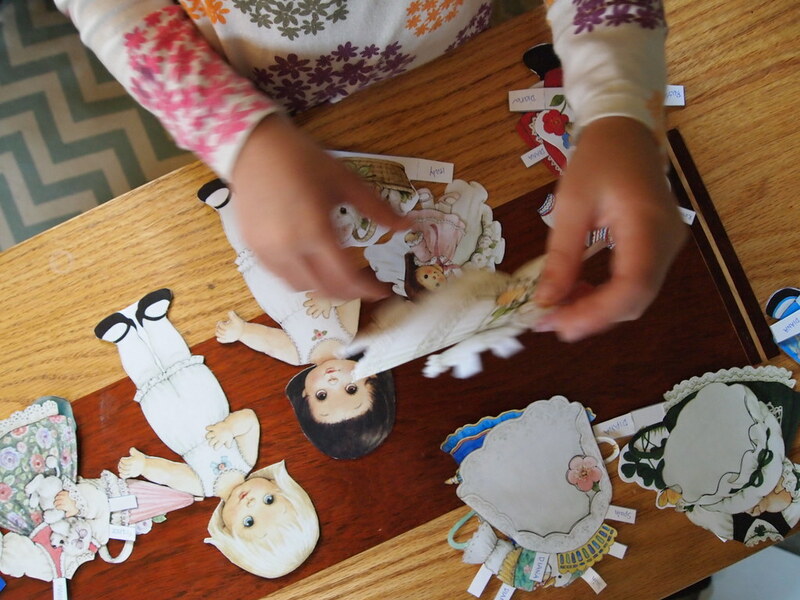 As I imagine most children do, Sophie goes through phases favoring toys. She fell in love with paper dolls awhile ago, and lately, she’s back in love. Perhaps now it’s a deeper love given that she’s able to more easily cut out hats, dresses, cloaks and accessories. Initially, though, the cutting part was hard. And that’s where my dear friend Linda came in. 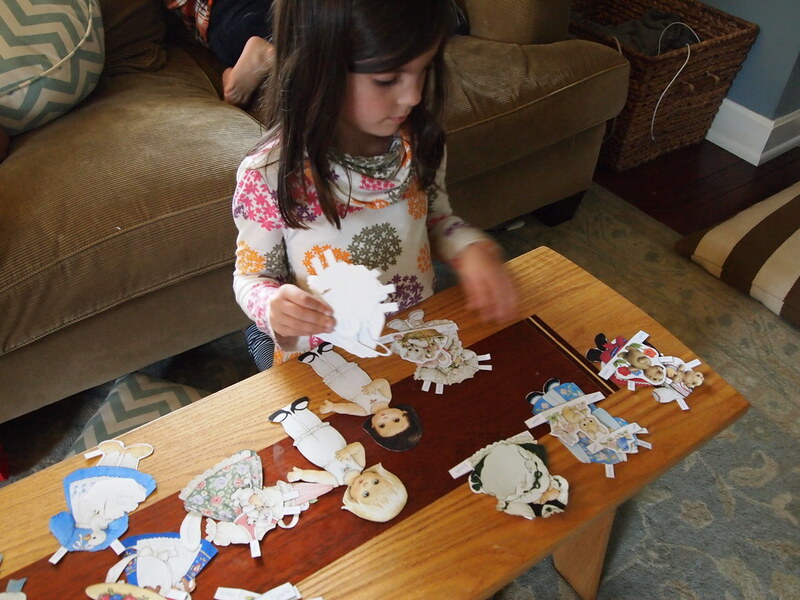 Linda found some vintage-style paper dolls online (here, here and here), which you can print and cut out. 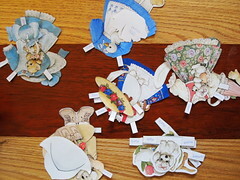 She then spent her evenings cutting, creating so many sets for Sophie. 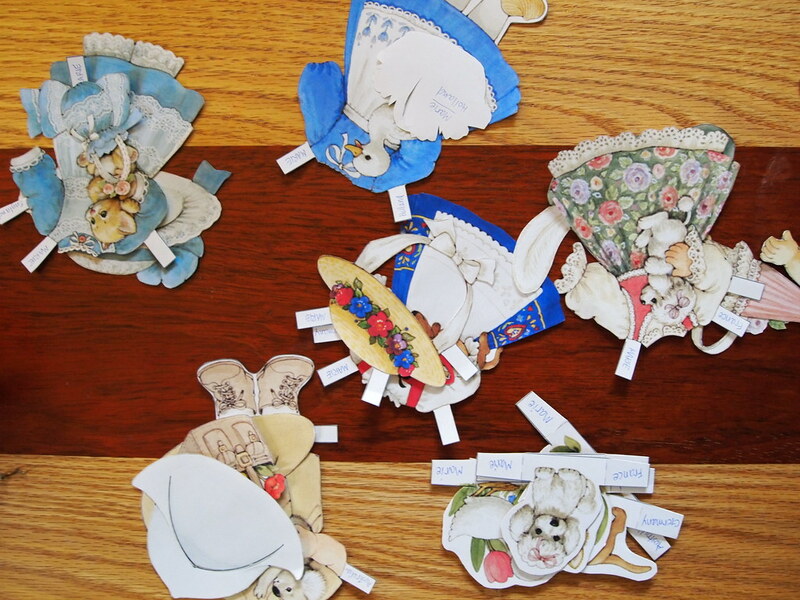 She named all the dolls and placed each one in an envelope, along with corresponding outfits. And recently, she’s loving them again. I’ll walk into Sophie’s room and find her bed covered with the dolls, their matching wardrobes next to them. She’ll spend hours playing with them. This entry was written by kara, posted on December 3, 2014 at 8:30 pm, filed under All and tagged Betsy McCall, gift, Linda, paper dolls, play, Sophie, vintage. Bookmark the permalink. Follow any comments here with the RSS feed for this post. Post a comment or leave a trackback: Trackback URL.